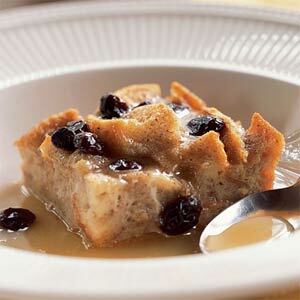 Louisiana Bread Pudding with Apples and Raisins : A classic Louisiana dessert. Tear french bread in bite size pieces, Place in a bowl and cover with Milk. Let sit about 10 minutes. Add rest of ingredients and Mix. Place in a baking dish and Bake at 350 for 1 hour or until done.